Our client had a traditional phone system. They needed to modernize and also save on telco costs. We ported all their existing numbers across to a VOIP provider and set them up with 3CX VOIP PBX system. 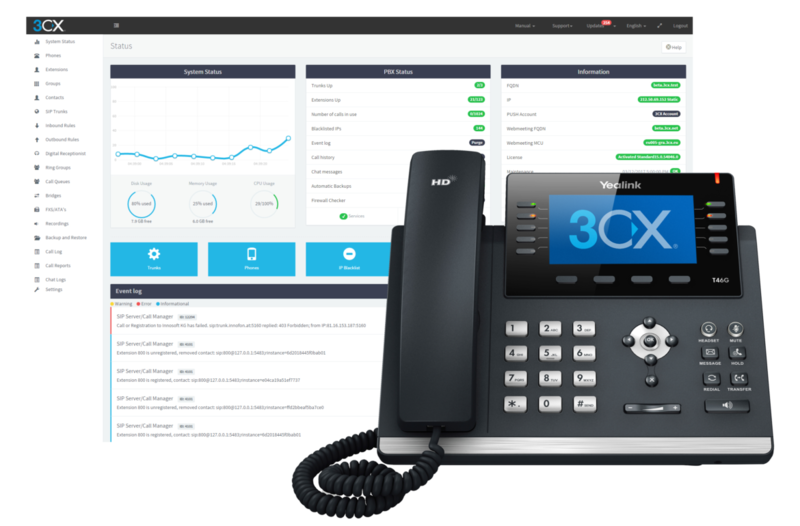 Although new handsets had to be purchased, we leveraged of the server to create a virtual machine for the 3CX software to run the Phone System. The cost of transitioning to a totally IP based telecommunications system was recouped in less than 4 months, and our client is thrilled that they also save close to $400 every month on call costs. Not only are there technological benefits which a traditional phone system cannot provide, but savings of the bill every month are certainly very persuasive reasons businesses need to seriously look into this. Call us now if you would like DaiNamik to give you a no obligation free analysis and recommendation on how you too can SAVE MONEY.